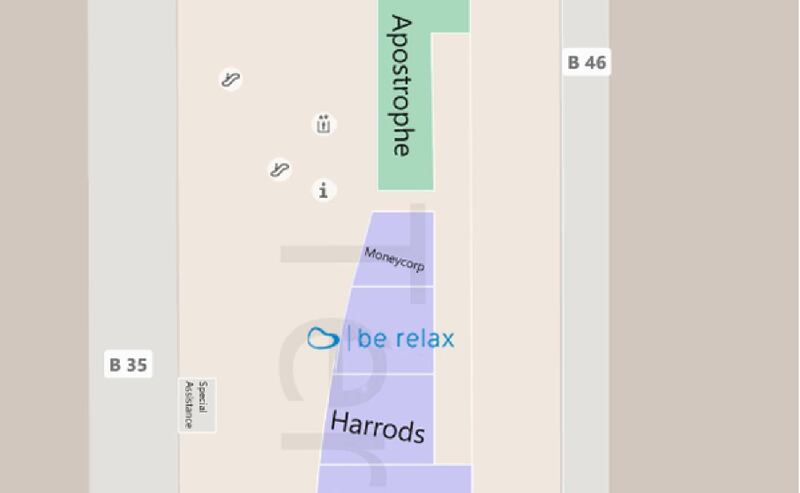 In London Heathrow Airport (LHR), go through security in Terminal 5 once through security catch the transit to B Gate then look at directions and follow B35 which will lead to to the spa. Welcome to Be Relax London ! Be Relax London Heathrow Airport (LHR) is a heaven of tranquillity within the busiest airport in Europe. Situate at the Terminal 5B Gate 35, my team and I, have created a welcoming cocoon for you to relax and to enjoy a full range of treatments to feel unwind and revitalised. Using various techniques of massages, there is a treatment for everybody. Our early morning and late night hour mean relaxation has never been easier to incorporate into your everyday life. Start your journey towards beauty and well-being at Be Relax London.